MANILA, Philippines – When Ponggay Gaston was playing for University of Santo Tomas' high school volleyball team, she was a middle blocker. Since arriving in Ateneo de Manila University, she has run the gamut of possible volleyball positions. Gaston has played as an open spiker, a utility spiker, and as a middle blocker during her three years with the Lady Eagles. "I'm just used to changing all the time in training," Gaston said with a shrug. And on Wednesday, in their first game of the second round of UAAP Season 80 against Far Eastern University (FEU), Gaston suited up as a libero. 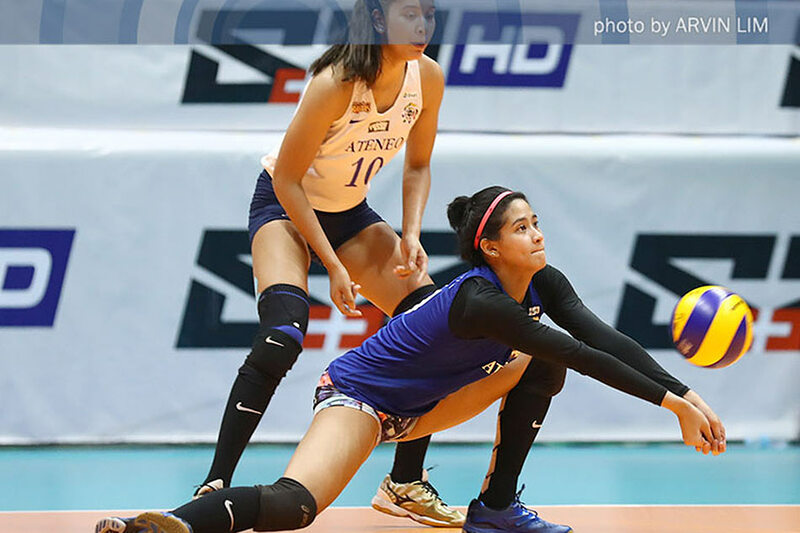 It was an assignment given to her just the day before by head coach Tai Bundit – and it was quite the gamble for the Lady Eagles' enigmatic head coach. Gaston was still dealing with a sprained ankle that limited her jumping ability, but this was a way for her to contribute to the team while recovering from the injury. The question was how Gaston would perform in the role, given that it was far from her natural position. Ateneo's receiving has been their biggest weakness in UAAP Season 80, the one skill that is limiting them from maximizing the strength of their formidable attackers. The third-year player answered those questions on Wednesday as she performed admirably. Gaston was credited with seven excellent receptions, but that number does not fully encapsulate the impact she had. Ateneo gave up a whopping 20 aces to FEU when they played in the first round, but the Lady Tamaraws got only three points off their serve this time around. "Well kasi I have a sprain, so iniisip ko na lang na 'yun na lang ang trabaho ko, mag-receive. 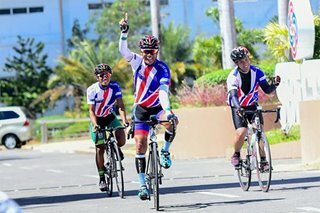 At saka dumepensa kung kaya," Gaston said. "Pero 'yun na lang ang iniisip ko kasi I don't have to jump. Talagang 'yung focus ko lang is to do my job, and to make my teammates happy," she added. With Gaston proving to be a capable receiver, Ateneo came away with a surprisingly quick 25-19, 25-21, 25-17 win over the Lady Tamaraws. In the first round, FEU defeated them in five sets while exposing their receiving woes. For Gaston, there was no question about how she would approach the task given to her by Bundit. Now used to switching among positions, she simply attacked her new assignment with the same energy and eagerness that she always shows on the court. "Parang tanggap lang ng tanggap ng kahit anong binibigay ni Coach Tai, kasi siya naman ang may alam kung anong maganda sa team," said Gaston. "So instead of complaining, or iniisip ko na shucks nahihirapan ako, iniisip ko na lang na siguro kaya ko, kaya siguro binibigay ni Coach Tai ng palit-palit ng position," she added. At the end of the day, she will do whatever it takes to help her team get wins. "Kasi hindi naman ako first six, so my job is to help the first six, and if it means be ready for any position, pumasok ka, gawin mo 'yung trabaho mo. Yun ang iniisip ko," said Gaston.